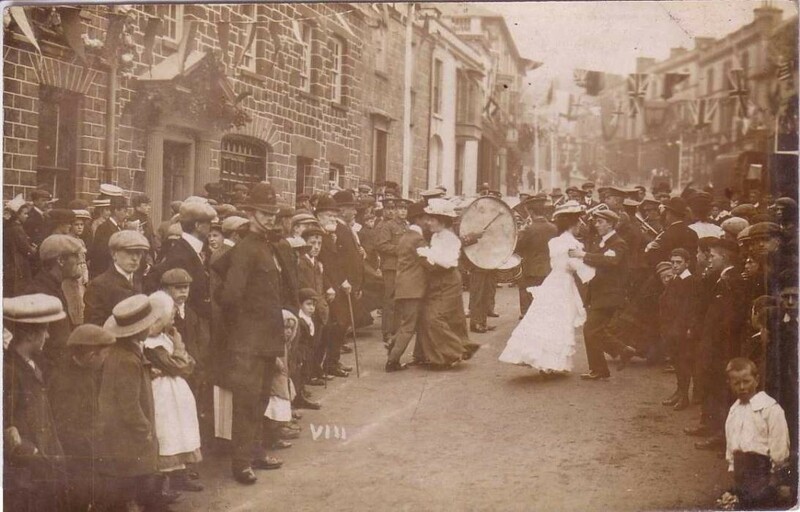 Dear Aunty, this is Helston Flora Day May 1907. It is kept up just the same now as ever it was. Would you like to be home and have a dance up and down the Street and hear the band play “John the Bone came walking home” ? 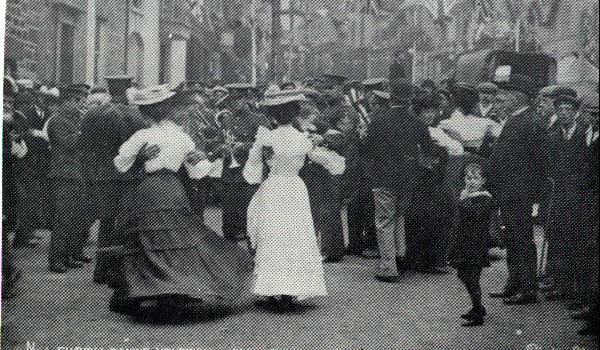 The 1907 Mid-day Dance with Sir William Treloar, Lord Mayor of London (centre rear with beard!) taking part in the festivities. 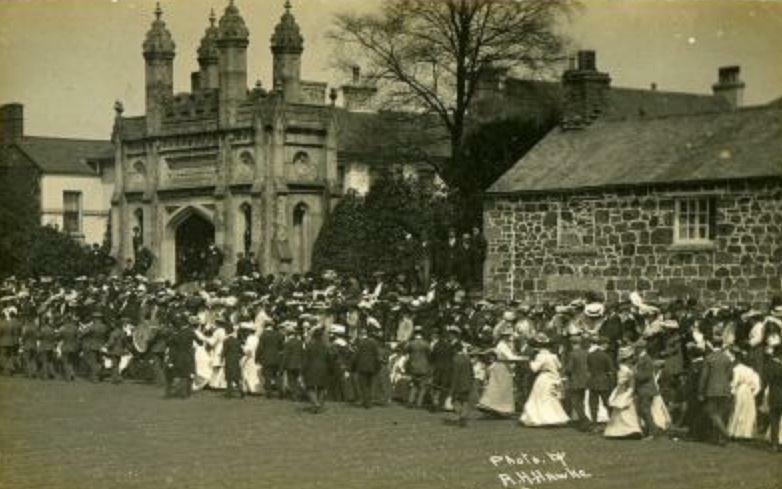 A.H.Hawke photograph of the 1907 Mid-Day Dance making its way across the Bowling Green. 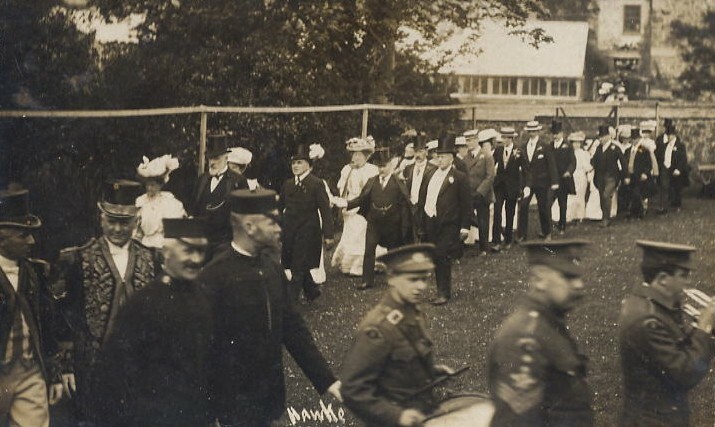 Notice how the leading men are in top hats. This was probably Sir William Treloar and party. Early Morning or Evening Dance. It`s difficult to tell!